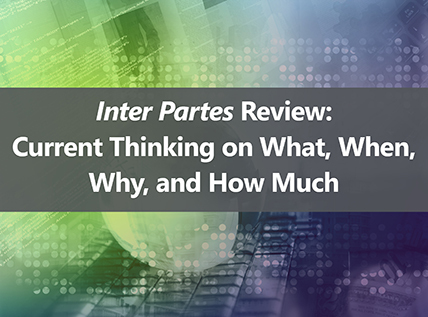 Now approaching the fourth anniversary of the inter partes review process (which became effective September 2012), it’s a good time to take stock of the most effective and cost-efficient ways to use these proceedings. This 90-minute, accredited CLE seminar provides the latest IPR developments as viewed from the lens of an experienced Administrative Patent Judge, Facebook’s in-house manager of IPR petitions, a leading commentator on the IPR metrics, and outside practitioners who have successfully represented petitioners and patent owners in numerous IPR proceedings. The State Bar of California has approved this educational activity for 1.50 credit hours.